As China's markets evolve, marketing strategy must adapt to meet changing circumstances. 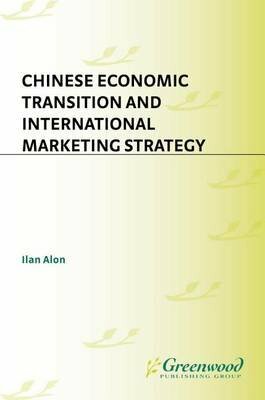 Alon and his contributors provide a comprehensive look at how economic transition affects marketings strategies across a wide range of industries, including telecommunications, the auto industry, the hospitality industry, the airline industry, textiles, cosmetics, and wine. In addition, they discuss the changing situation of joint ventures, collective enterprises, and state-owned businesses.Bringing divergent perspectives to bear from Hong Kong, the United States, the United Kingdom, Australia, New Zealand, and China itself, the marketers and scholars who contributed to this volume have integrated research relating to economic transition with strategic considerations for more effective and competitive marketing plans. In addition to the industry-specific information, this volume includes chapters on entry barriers, e-commerce, market research, branding, and promotion.